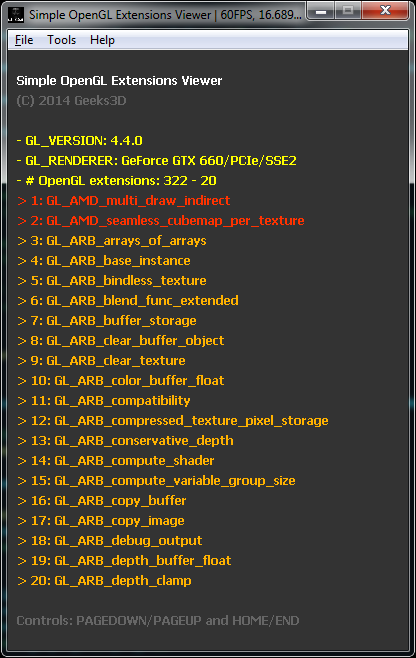 Here is a small demo (in Lua) that shows how to list the OpenGL extensions exposed by the driver. - PAGE_DOWN / PAGE_UP: to move up and down in the list. I haven't tested the demo on OSX and Linux but it should work. Otherwise, let me know in this thread.